Good news is always welcome. Looking forward to full fix. I don't mind m&k, but the stick is where it's at. blindfold, has WG ever given any thought to automating the log submission process? Like a key on the Hangar screen that will send a log of the last game played to WG when it is pressed, maybe with a simple box to describe the problem in 50 words or less? No service request required and no response expected from the player? You'd probably be drowned in info. I'd use it. I've looked at the present arrangement and just said "hells no" and dropped the idea right there and then. It surely cannot be integrated to the Hangar but probably can be integrated to WGC, still WGC is developed by the different team. I totally agree that it could be a much more convenient way to gather the required information and I will try to get some information if it is possible. Hi blindfold. Most unfortunate that the Hangar cannot be used. Why is that so? It is intuitively the correct spot since you normally wind up there after a battle unless you are glitched out of the game completely. I frankly don't see many players, myself included, dropping out of the game to go back to WGC to press a button, then starting the game all over again. It would be too cumbersome, like the present process. The hangar is the only place for it. Edited by Deltavee, 21 January 2019 - 09:52 PM. The frequent lag problems should have some priority. When they get so bad they affect a bomber, they are real bad. Wow. You are still a 40 watt bulb in a 100 watt socket. I am not sure that sending files to the Customer Care could be organized right from the game client. It requires certain synchronization on both sides which is not such an easy task in this case. It is literally the same announcement as the announcement in the first post of this thread. Just shows how eager we are to hear some positive news at last ... even the second time it still sounds good. Log in last night, start battle, first respawn no joy, logout! If Customer Care is the same team as the service centre that receives customer requests and replies with an automated response, then the whole thing is a non-starter I'm afraid, given the reputation of Service. Who gets the logs now? That person/team should continue to be the recipients of the information. The sole idea behind my suggestion is to radically simplify an obscure process and to provide WG with an abundant amount of information regarding a specific problem they are working on. When no more logs are required the button on the hangar screen will be removed. Whether or not WG wants to put up several different buttons to address different issues at the same time is completely up to them. Then your logs would be pre-sorted by the problems related to the specific buttons. The idea is intended to send a one-way message to WG with no expectation of response or communication by the player. It is to collect data and that is all. It is not intended to be just a button any player can mash whenever there is a problem, real or perceived. The intention is that WG provide a single button push (Not to service!) to provide logs along with such related data as is deemed necessary to WG in response to a specific and advertised request from WG for player input only on a particular problem, like the Limp Joystick problem that currently exists. The idea is simply to make the process of sending logs to WG a convenient one-button process at the hangar immediately after that specific problem manifests in a particular battle if WG has asked for player log input to gather information about that specific problem. What I want is to drown you in data as opposed to you having to repeatedly request logs about a specific problem...but it will only work from the hangar, trust me on this one. Even better, you could include it in the post-battle Battle Results Pop-up Screen under the Battle Performance heading in an orange bar at the bottom of that panel. The system is already displaying gathered information so there must be some kind of link to WG servers. I really hope some sort of mechanism can be worked out. It could be a benefit to all. Edited by Deltavee, 22 January 2019 - 11:48 PM. Captain_Underpants, You know I respect you and we have never had any kind of bad blood between us in the skies, but in this case I have to disagree with you. The joystick problem is much more of a priority than, for me, an infrequent lag problem. I have been getting 2,3 and, in some cases, even 4 dead sticks in a row! I get at least one dead stick in almost every battle! If this is happening to me then you can only imagine how many others this is happening to. I rarely get any kind of lag issues when I am flying. In fact so little so that it doesn't even make me want to put in a support ticket about it. I might get a lag problem once out of every 30-40 flights, and that's just a slight glitch or jumping of my plane. Every once in a while, 2-3 dozen battles, I might get some packet loss where my plane might start flying backwards or in some direction other than what I am intending it to go. But even then it only happens in one battle and not in almost every battle. Yesterday, I flew an alt account I have on the Russian servers and I NEVER had the joystick glitch, not even one time. I allowed myself to be shot down many times and I crashed many times just so I could respawn to see how bad it was on the Russian servers. I believe it doesn't even exist on the Russian servers! If I knew other players that played on them I would ask them but to be honest, I only have tier one planes on my account and I don't know how to speak Russian. Anyway, that is my experience flying on the Russian servers and it was so nice to be able to fly and not get dead sticked. 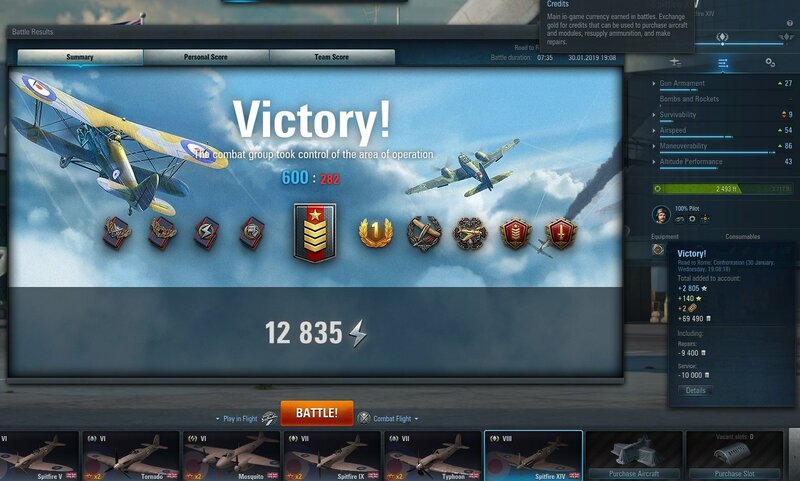 I was actually able to fly entire battles without cursing out Wargaming and getting so pissed off I wanted to throw my monitor out the window. I have, literally, forgotten what it was like to fly without any sort of glitches in my game. Everyone that wants to remember what it was like to fly and not get so upset that you just wanted to quit the game entirely, simply create an alternate account on the Russian servers. However, I did leave the Russian servers cursing out Wargaming because they can't give us, on the North American servers, the same kind of pleasant gaming experience that they give their own people. I wonder why that is? Do you think there is a bias towards the Russian side of things there? Did they have the Joystick glitch at one time, but they had to fix their own servers first and not give the N.A. servers the same kind of priority as they get? Anyway, that's my piece for the day. Please respond and let me know how you feel about that. I promise that there will be no hard feelings! Russian servers have the same problem. And they wrote there, that only 1.7% of users on Russian server use joystick. Don't forget the EU server, it's just as bad here. Players - respected pilots who have been flying Wowp for years - are quitting because of this bug !! 6 weeks and counting ... and suffering. That's not the description I would use ... but I don't want another ban. Edited by GonerNL, 30 January 2019 - 02:51 PM. My Joystick Flying Clan Mates and I are Very Interested in seeing this Joystick Bug Squashed!!! It has done More Damage to my Win Rate than any Number of Enemy Pilots!!! FWIW, I just flew 5 games tonight with no issues. I alt+tab and close the game center. Side note I was maxing out a spit so only had about 3 respawns. Another 5 games with one respawn, did have one black screen which I tried enter enter...to no avail, esc go to settings, change nothing and apply and returned with counter at 7 secs and completed game. Also had another bug not seen before, one respawn after maxing out my t8 spit and flying tornado, I could not return to battle with plenty of time on the clock before squall line. Surely all mute now as the update coming tonight will introduce a whole other plethora of bugs and issues. Also need to add that I have reached specialized on my T8 spit, but have yet enough xp to research the attacker. I will not be specing any more planes. Not only have we been forced to rebuild our planes, but they have detrimentally deterred the grind for each level. Boy, my keester is sore! Edited by Azis_, 31 January 2019 - 03:31 AM. EVERY single game since around 2300 EST black screen and/or deadstick. What fun is this? !